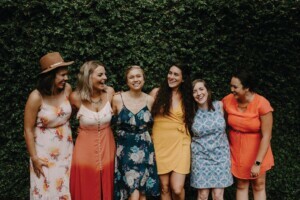 Align is a multi-use space located in Boulder, Colorado that facilitates female leadership, community, and creativity. This platform seeks to connect women from all walks of life, engaging them in conversation, collaboration, and support to help advance their individual, social, and professional pathways. While Align provides a high-tech space for its members, it also encourages face-to-face interactions – noting that, while technology is growing exponentially, our connection with humans is not. Align marries the importance of tangible connection with the benefits of modern technology while encouraging its members to do the same. Networking events at Align are a far cry from the typical crowded, corporate meet and greets. Align’s events encourage originality from participants, which help create meaningful connections that extend beyond the swapping of business cards. Events are varied – encompassing everything from discussion panels to fashion shows. Sign up to join this group of powerful, intelligent women using their new member interest form. What will be the first of many, Pop Up Shop Collective, is an open event for schmoozing and socializing over refreshments. This event promotes local business, provides networking opportunities with Boulder’s business elite, offers discounts at local vendors’ stores, and hosts 15-minute business strategy sessions. Tickets are $25 each. During Boulder Start Up Week, Align will sponsor a workshop with Susan Glow of Glow & Co. on financial acumen. Ms. Glow is an asset manager who owns her own wealth-management company and provides a comprehensive, efficient approach to financial well-being. This workshop will cover topics ranging from personal investing, prenuptial agreements, hedge funds vs. mutual funds, and more. This event will engage women in discussions regarding challenges faced when pursuing careers in high-tech industries. This panel is set to include Leslie Kimmerling, of Double Helix Optics, and Leslie Leinwand, biology professor at CU. These accomplished speakers will discuss obstacles encountered and successes manifested as females working in technology-based industries. This June, Align will hold its Evening of Art and Fashion event at Boulder Creative Collective. A group of models with varying body types will showcase multiple styles in a fashion show format. Kirk Myers, LA-based stylist, will advise audience members on which styles work best for which body types. Refreshments will be served after the event and guests are invited to a dance party at the gallery. This list is not exhaustive, and Align will update its calendar with events as we move through each season. Be sure to check back here often. Align provides valuable engagement and fosters professional connections with leaders of Boulder’s industries. Attend these events to chat with founders of famed Boulder institutions and swap stories with first-time entrepreneurs on the block, carving their path through our city’s quickly growing economy.